Denmark is much more sought after as a Yacht Charter destination that one might conduct by the number of the stationed boats for Yacht Charter – for instance there is a Yacht Charter base in Northern Schleswig or South Jutland County, in Aabenraa roughly 18 miles north of Flensburg. Another Yacht Charter base is in Aalborg, in North Jutland, a and there is a Yacht Charter company with a base in Skagen as well – Skagen is the town in the absolute North of the country, lying at North Sea and Baltic Sea as well. Numerous crews charter in Germany Flensburg or Kiel and set off to the waters of the Northern neighbour. Two Yacht Charter trips are already classical in the Danish sailing waters in the Baltic Sea – the circumnavigation of Funen and the traverse of the Danish Southsea. On the roughly 200 miles around Funen Yacht Charter crews will discover numerous historic sites, new marinas and piles of anchorages – among others in Svendborg, Kerteminde with the Great Belt Fixed Link, Samsoe, Middelfart and Sonderborg with its magnificent old town. You’ll need a few days more for the circumnavigation of the larger island of Seeland. 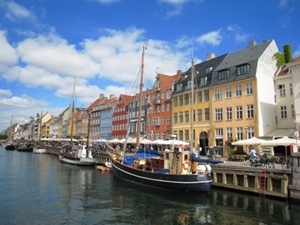 On the other hand, Copenhagen, Denmark’s capital city, with many modern marinas nearby, lends itself as a rewarding stopover destination during your Yacht Charter trip. More relaxed with shorter distances is the Yacht Charter trip through the Danish Southsea, the sailing waters with the many little islands, white beaches fringed with dunes and enchanting old fishing villages south of Funen. The local highlights for Yacht Charter crews are among others Marstal on the island of Aeroe with a boat builders wharf for wooden boats a maritime museum and again Sonderborg, the fishing and commercial harbour of Fraborg, the dream bay Alssund, Aeroskoebing and Langeland. 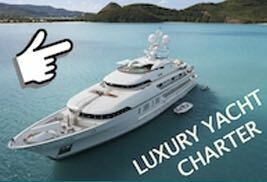 Please do not hesitate to ask us for Yacht Charter offers in Denmark!